This fully responsive Landing Business HTML5 Template will help you to create a fully-functional business website. Developed by a team of web design professionals, this template offers everything you need. This template has a distinctive design, it's fast, easy to use and simple to manage. Use this fast and reliable template to create your own website for your company and customize it as much as you want to make it really stand out. Select among many different layouts to adjust your template to make it look really unique. 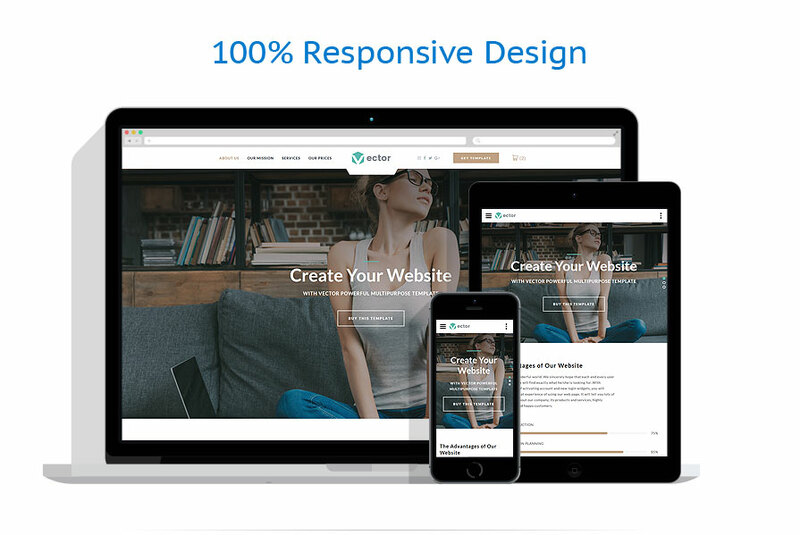 Just install this template and be sure that with our Vertex Landing Business HTML5 Template your business will be represented on the web from the best side. For all our products we offer 24/7 lifetime support.